It's been 40 years since Ellen Ripley first faced off against the xenomorph in the classic film Alien. To celebrate, 20th Century Fox Home Entertainment is delivering an 4K Ultra HD Blu-ray release of the film with a brand-new scan supervised by Ridley Scott himself. 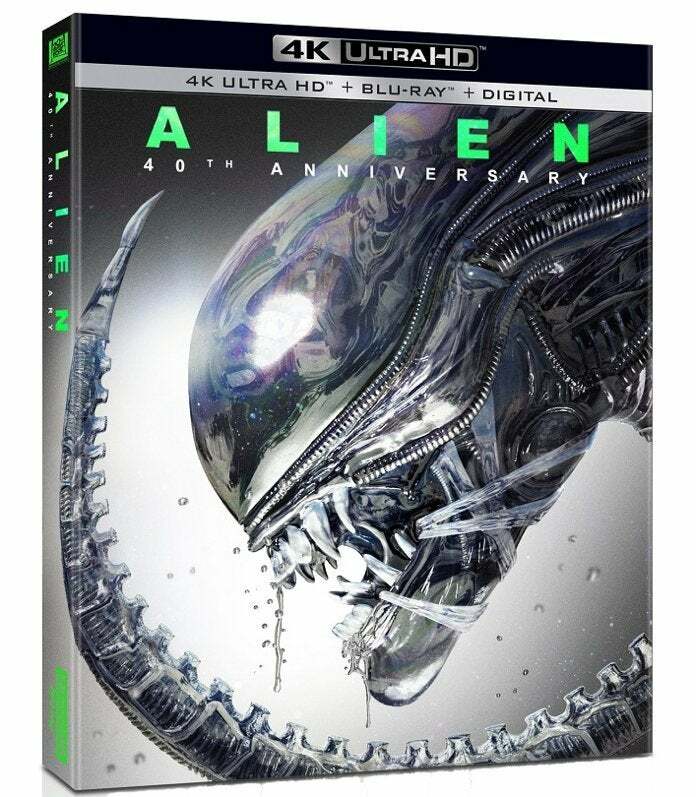 In fact, the Alien 40th Anniversary 4K UHD Blu-ray is available to pre-order on Amazon right now for only $14.96, which is a whopping 34% off the list price. The Blu-ray is covered by Amazon's pre-order price guarantee, which means that you won't be charged until it ships and you'll automatically get any discounts that occur between the time you order and the release date -- in this case April 23rd, 2019. Odds are 34% off is going to be the max discount, so lock it in while you can. "In the film that birthed the wildly successful ALIEN franchise, the crew of the deep space tug Nostromo awaken from stasis during a voyage home to Earth when their ship's computer detects what is believed to be an alien distress signal coming from the desolate nearby moon, LV-426. While investigating, one of the crew, Kane (John Hurt), is attacked by an alien creature that latches to his face and he is rushed back to the Nostromo to receive medical treatment. Ripley (Sigourney Weaver), the ship's warrant officer, advises against Kane's return due to quarantine regulations – but her orders are ignored by Ash (Ian Holm), bringing the Nostromo under threat from a mysterious, extraterrestrial apex predator with violent and lethal survival instincts."